What began as a gravel pit, transformed into a flourishing haven of life and growth. This transformation was able to take place due to excellent quality of water and old fashioned hard work. Len Van Wingerden took two acres of land, 68,000 sq ft of greenhouse, along with excellent customer service and a focus on exceptional quality to propel the growth path for GDF. 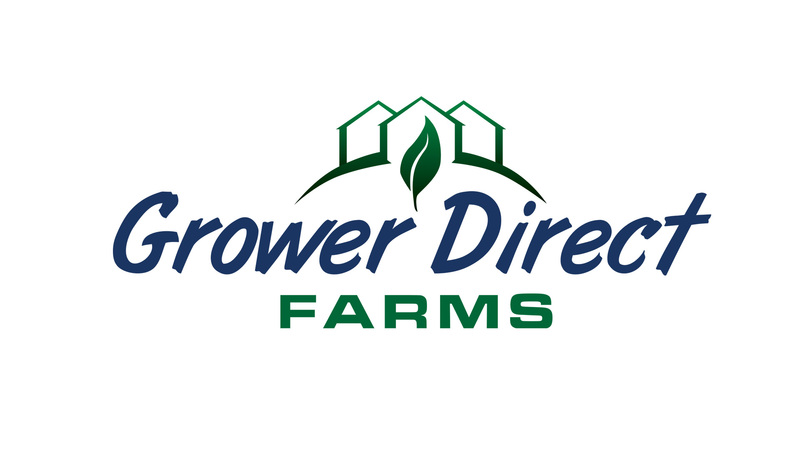 These days, Grower Direct Farms continues to excel at the fine balance of art and science with a highly trained work force, experienced management, and modern efficient facilities. We also use rigorous conservation and sustainability practices as an integral part of the flower and plant growing regimens. Our potting soil is made up of organic sphagnum peat moss and rice hulls, extensive use of biological disease and pest controls are a part of our IPM (integrated pest management) procedure. We have consultation agreements with the world’s most renowned experts providing on-going education for our growers and exposure to the best growing practices from around the globe. A highly sophisticated, climate controlled computer system, linked to a proprietary weather station, controls the greenhouse environment. We grow millions of seedlings and transplants annually. Through the use of rolling carts for internal movement of plants, electric tuggers, equipment to fill plant containers, and computerized scheduling of production programs, much of the repetitive work has been automated. Our crop protection structures incorporate energy conservation through double walled, inflated poly houses, radiant floor heat, and the use of a biomass burning boiler fueled by woodchips (New England’s most abundant alternative fuel resource). Our water conservation is second to none with ebb and flow watering where we flood a bay to a depth of 1.5”-2”, allowing the plants to absorb what they need and recycle the remaining water through filters and back to holding tanks. Our open fields are outfitted with drip irrigation systems bringing water to each plant individually without waste.Our open fields are outfitted with drip irrigation systems bringing water to each plant individually without waste. We utilize beneficial insects in our growing program reducing the need for pesticides and other chemicals. This allows us to produce top quality plants with the least possible impact on the eco systems around us. We have committed ourselves to leaving as minimal a carbon footprint as possible. This is done in the form of catching and reusing a large portion of water excess from each watering, flood floors, pollinator gardens and renewable energy sources for heat when possible. We pride ourselves not only on working hard, but smart. Grower Direct is one of the leaders in the US when it comes to automation. Using robots, forklifts, spacing tables, transplant machines and other methods we are able to sustainably do more with less. Doing our best to be good stewards of the resources given to us, and supporting those around us. Here at GDF we love the opportunity we have been blessed with, working with live plants to create beauty. We also want to do this in a way that helps the environment around us, rather than harming it. This pollinator garden is one of the many ways in which we encourge the natural process of life to continue on around us. It has become a haven for bees, flocks of geese, frogs, fish and other wildlife. One of our greatest commitments to the belief in minimizing our carbon footprint can be seen in the form of our multi-fuel combustion boiler from Vyncke. Our biomass hot water tank holds 360,000 gallons of water, which is the equivalent to the hot water storage capacity of about 9,000 average homes. It provides the greenhouses heat while using an abundant renewable energy source. Currently we use wood by products in the form of wood chips, but this boiler has the ability to use many other renewable sources such as food and agricultural waste as well. We have a broad network of amazing people we work with. Neighbors, friends, local businesses and schools, all of which hold a special place in our hearts. Part of our mission is to find ways to give back to the community. This is from a recent plant sale put on at Pioneer Valley Christian Academy, a local school with a great mission. We also happen to employ a small fleet of robots from Harvest Automation. These robots allow us the option of working ahead of time. Used in concert with our forklifts, we find that planning and execution is more managemable with a broad range of options.We also happen to employ a small fleet of robots from Harvest Automation. These robots allow us the option of working ahead of time. Used in concert with our forklifts, we find that planning and execution is more managemable with a broad range of options. As one of the first greenhouses in the country to implement this automation system, we have exponentially increased our workers output while easing the load of some of the most labor intensive jobs on the farm. Using eqipment like the TracFogger shown here, along with a pulse fogger and other automation equipment, Grower Direct Farms has made a commitment to using environmentally low impact chemicals. These pieces of equipment allow us to broadcast in a way that is most effective for the plants while still controlling pests.